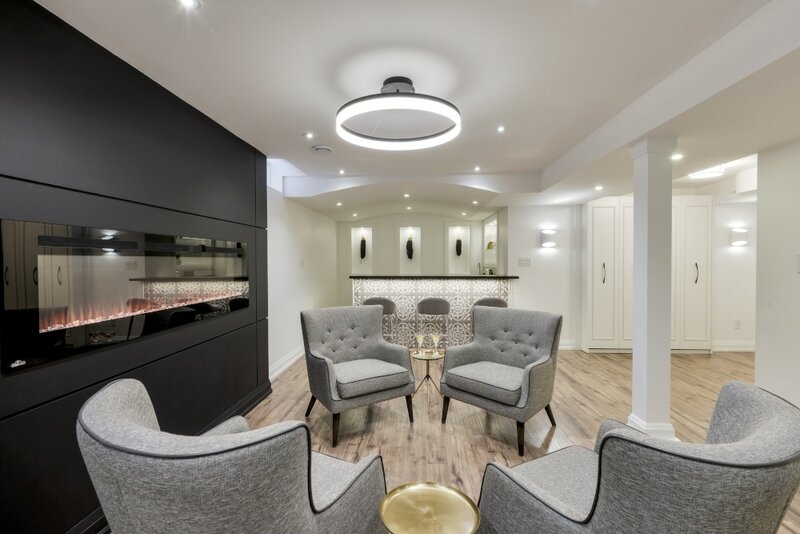 Basement remodels are customized to client's needs and can include options like Media integration, custom bar, home office, spare rooms, craft rooms, powder rooms, washrooms, custom closets, storage solutions, etc. All spaces were custom designed to optimize full use of space in many cases appliances such as furnace and hot water heater were relocated to benefit the floor plan. Desing & Build of unfinished basement with Home Theater, Custom Wet Bar, Fireplace and 3 pc Washroom. 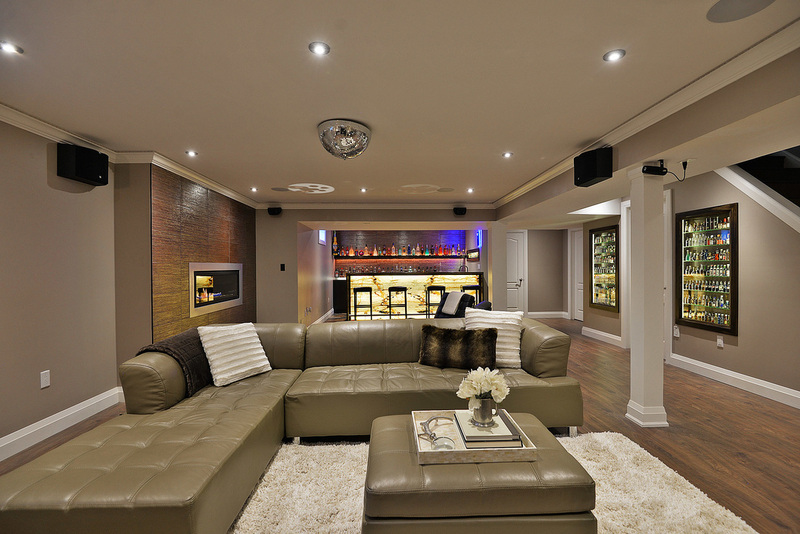 Remodelled a finished basement to include a Custom Bar, recessed Home Theater, In-ceiling speakers, compact washroom and home gym. 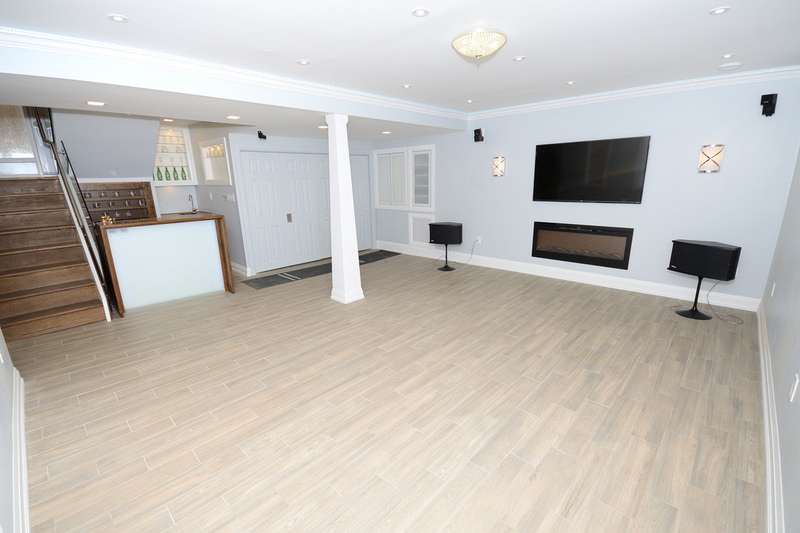 Basement build with Media room, Custom bar under the stairs, Servery and Laundry room. Basement Build with kitchenette, 3 pc washroom, multi-fold to break up open plan and storage. 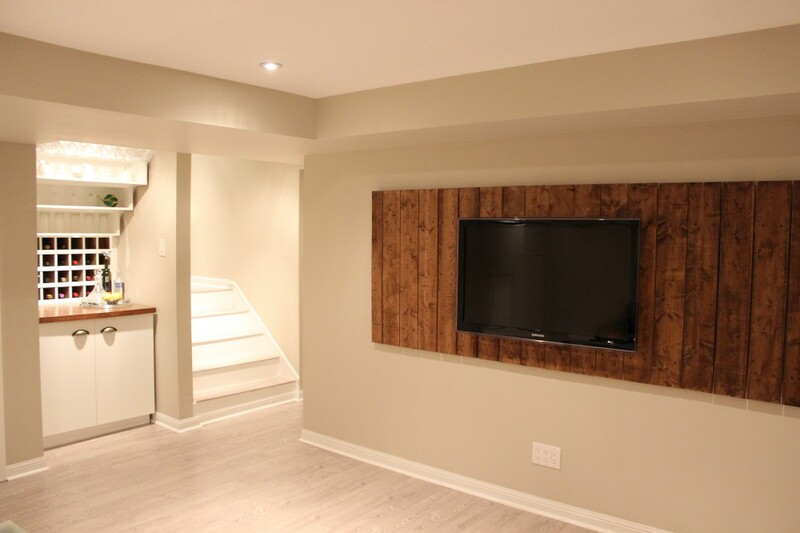 Basement Build with custom A/V area, custom bar, spare room, custom closets and storage.